Lakewood Theatre Company continues its season with 'Dial M for Murder.' Don't miss it! Lakewood Theatre Company continues its 66th season of live theater with "Dial M for Murder," a bone-chilling thriller by Frederick Knott about a marriage gone wrong. When tennis player Tony Wendice discovers his rich wife's affair he decides to have her taken out — for good. Made famous by Alfred Hitchcock's classic film adaptation, this psychological thriller will have you on the edge of your seat. Performances begin Jan. 4 and continue through Feb. 10, playing Thursday, Friday and Saturday nights at 7:30 p.m., one Wednesday performance (Jan. 23) at 7:30 p.m., Sunday evenings Jan. 20 and Feb. 3 at 7:30 p.m. and select Sunday matinees at 2 p.m. The Wednesday performance will see the continuation of the theater's WOW: 25-35 program. For audience goers 35 and under, tickets are priced at $25 each. At this performance there will be a complimentary wine tasing one hour before curtain, courtesy of Landmark Vineyards. General tickets are priced at $34 for adults annd $32 for seniors. For additional information and to order tickets go online to lakewood-center.org or call the box office at 503-635-3901. The story: The posh life of tennis champion Tony Wendice (Jacob Lee Smith) is threatened when he discovers his wife Margot (Clara-Liis Hillier) is having an affair with Max Halliday (Heath Koerschgen), a dashing American television writer. Being a proper Englishman, Tony, of course, doesn't confront them. But he does plan her murder and a good, long retirement with her money. Enlisting the blackmailed assistance of an old college friend, Lesgate (Tom Mounsey), Margot is attacked late one night. But the tables are turned when she fends off her assailant and draws closer than ever to Tony. Now what? With the wrong dead body on the floor, hidden love letters and a few cocktails, will Inspector Hubbard (Don Alder) and his assistant Thompson (Marcus Storey) expose the affair, the murder-for-hire and other hidden secrets of the American, the tennis star and the beautiful brunette? 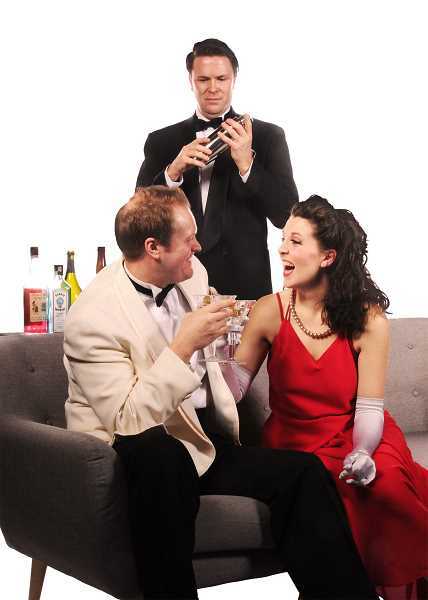 LTC's production of "Dial M for Murder" is directed by David Sikking; the stage manager is Addie Underwood; scenic design is by John Gerth; sound design is by Marcus Storey; lighting design is by Jeff Forbes; costume design is by Grace O'Malley; properties design is by Jennifer Summering and the producer is Steve Knox.